A cinnamon-like roll with a twist of pumpkin. A fall inspired recipe. Preheat oven to 350. Mix all ingredients together. Place in large muffin tin, let bake! 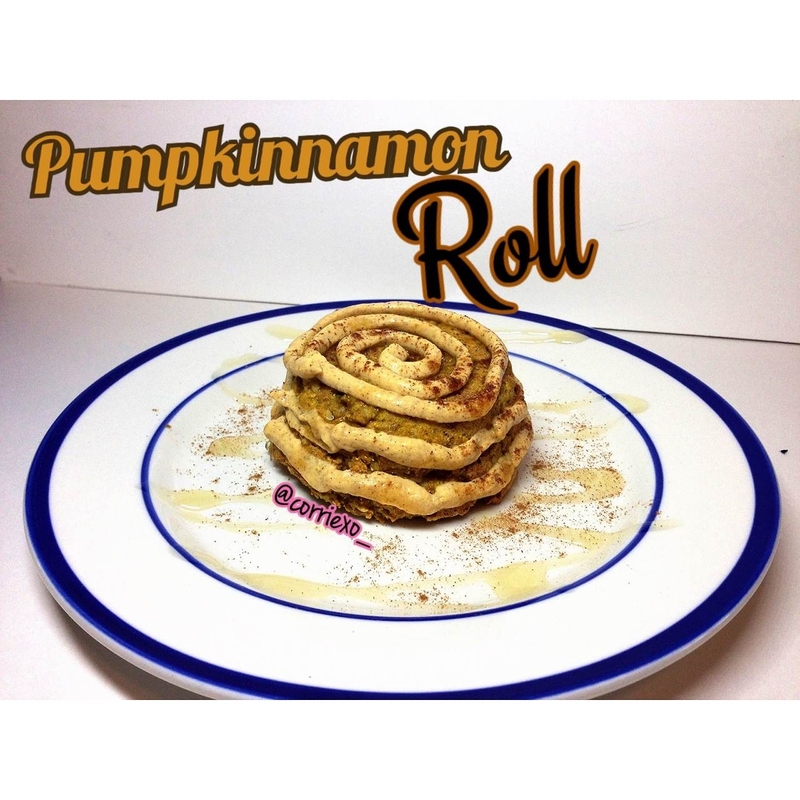 For the icing I mixed together greek yogurt, pumpkin puree, cinnamon, and 2 drops stevia. I drizzled the plate lightly in honey too.